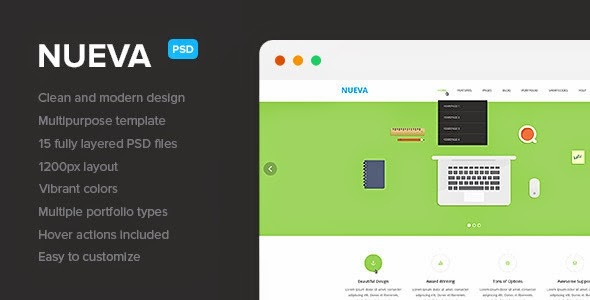 Nueva is a clean, modern, multipurpose PSD template, designed to be suitable for any kind of business or website. View the screenshots for a closer look. Google fonts and Museo Sans available for free. Item Reviewed: Nueva Multipurpose PSD Template 9 out of 10 based on 10 ratings. 9 user reviews.